Greatness lives in all of us! 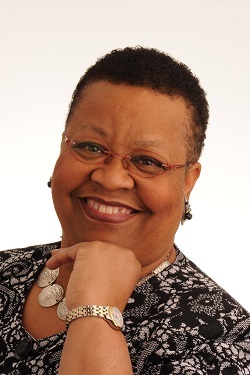 A former IT and human services executive, Dr. Gloria J. Burgess is now an acclaimed speaker, thought leader, and trusted advisor to Fortune 100 companies. She also serves as visiting faculty for executive leaders at Seattle University, University of Washington, University of Southern California, and IEDC Bled School of Management in Slovenia. Dr. Burgess has spoken to tens of thousands of people and consulted to dozens of top-tier organizations on six continents. Her clients include AT&T, Boeing, Microsoft, Bill & Melinda Gates Foundation, Women’s International Network, Google, Amazon, Providence Health Services, President’s Office in Paraguay, Kenyan Parliament, and the South African Embassy. Her popular books include Dare to Wear Your Soul on the Outside, Flawless Leadership, and Sanctuary: Restoring the Rhythm of Rest & Renewal. Dr. Burgess jokes that she wrote her latest book (Sanctuary) to help her slow down. This little book is filled with specially selected photos that will inspire us slow down and hit the pause button in our crazy-busy world. Which book did Dr. Burgess most enjoy writing? Her most recent book: Pass it On! This inspiring picture-book biography is about her father, Earnest McEwen, Jr., and his life-changing relationship with Pulitzer Prize-winning author and Nobel Laureate William Faulkner. Learn more about Gloria’s work: www.gloriaburgess.com.